We’re not sure how many of you guys out there see the need to record videos that film both the front and the back at once, but if you think that you might need to create such a video in the future, or if the idea sounds intriguing, you might be interested in taking a look at the Love Box, a surprisingly low-tech gadget for the iPhone that allows users to film both the back and front simultaneously. Originally designed in Barcelona as part of documentary titled “The Love Box Conversations”, it was meant to capture two people conversing at once, which we guess is a more economical way as opposed to using two cameras to record. As pictured above, there’s really nothing “technical” about it in terms of electronics, but the effects that it produces is rather intriguing and to a certain extent “artsy”. 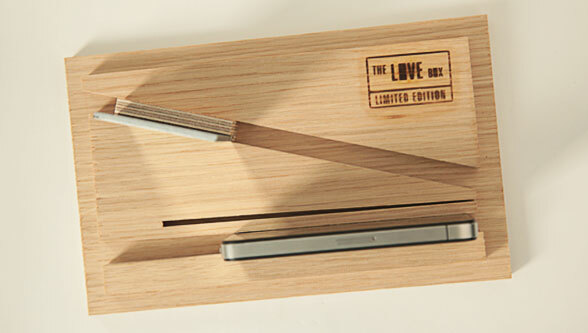 The Love Box basically consists of a wooden box and an angled sliding mirror and is made out of oak. 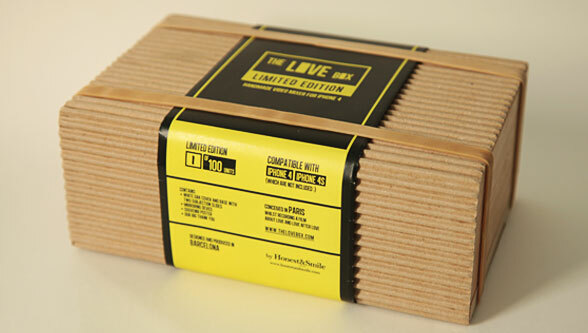 If you’re interested in owning the Love Box, it should be noted that it is available in limited quantities with 24 remaining at the time of posting. It is available from honestandsmile’s Etsy shop for €57.63 (~$78.14).